PROOFF #008 StandTable Workstation is a circular podium for a new era of modern office furniture. The creation of designer and architect Ben van Berkel from UNStudio, #008 StandTable is a round meeting table come desk, intended to facilitate collaborative working within an agile working environment. Informal meetings for small groups can take place around the circular design whilst colleagues stand. 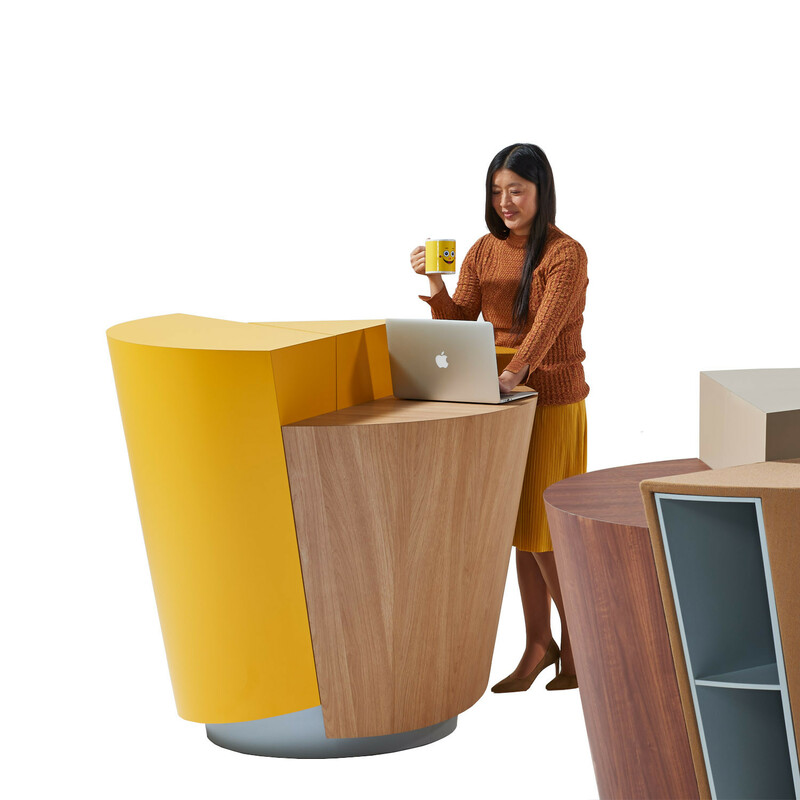 StandTable Workstation is an exciting alternative option to traditional desking in the contemporary office, comfortably accommodating 2 - 3 people for individual working or as a place for interaction. 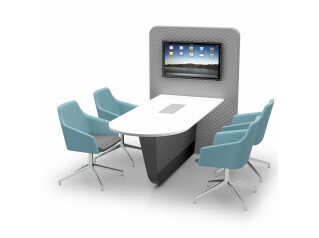 StandTable Workstation features integrated USB charging points and storage solutions, whilst each section is finished with a different material - wood, formica or fabric upholstery - to add visual stimulation to this progressive furniture piece. "Standing while working increases productivity, creativity, metabolism, life expectancy and effective communication," state creators UNStudio. "It accelerates decision-making and decreases absenteeism." 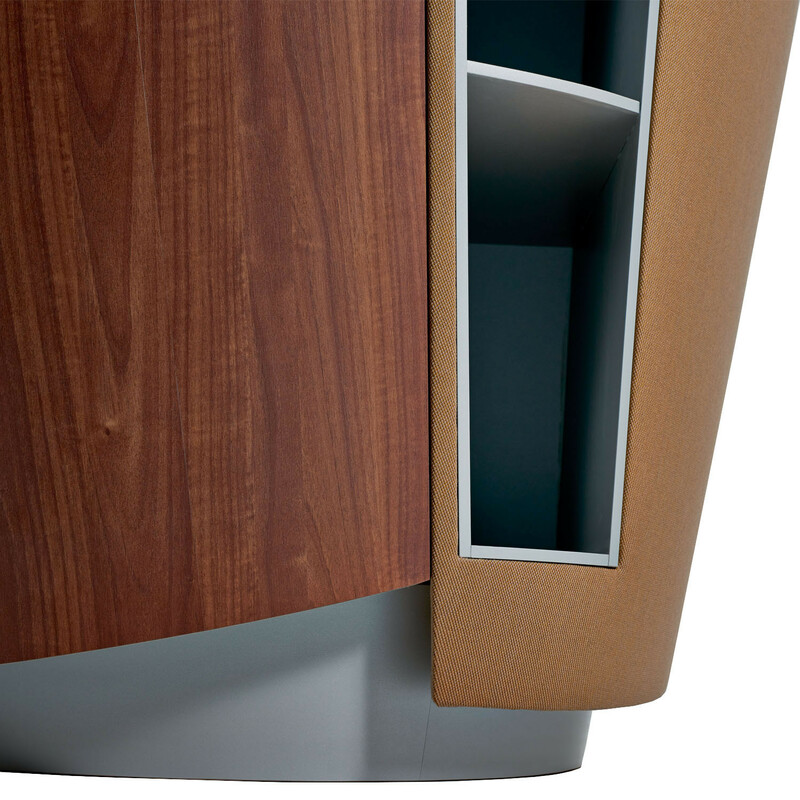 View more furniture from PROOFF. You are requesting a price for the "StandTable Workstation"
To create a new project and add "StandTable Workstation" to it please click the button below. 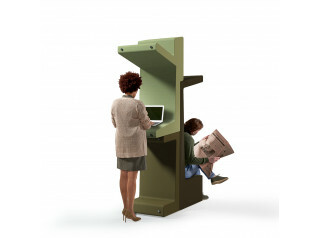 To add "StandTable Workstation" to an existing project please select below.